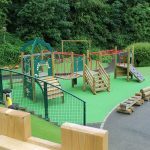 When we visited Muswell Hill Primary School, they had an old amphitheatre-style area with slippy wooden decking that they were desperate to get rid of. 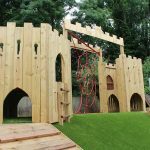 We proposed to them that we take out and dispose of this decking, and replace it with a large play provision instead, to inject some fun into the area. 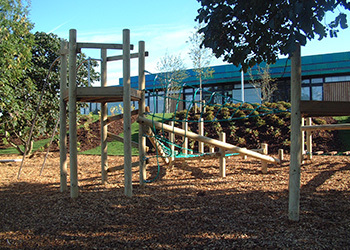 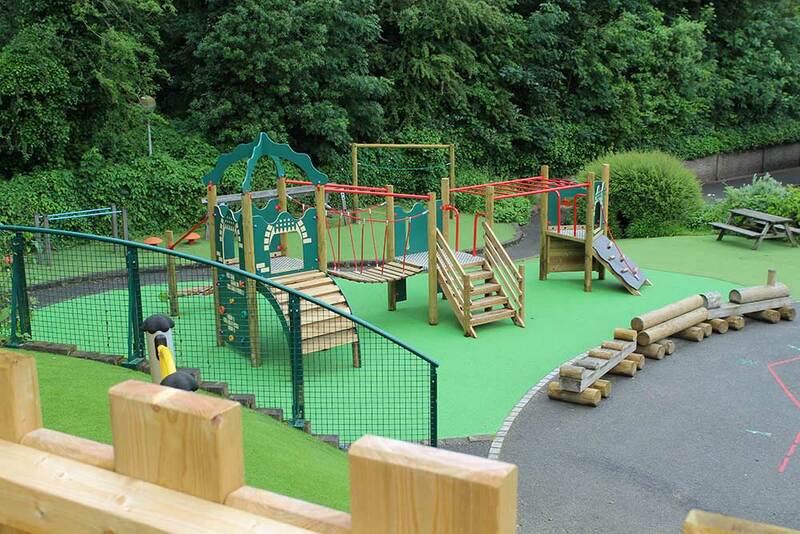 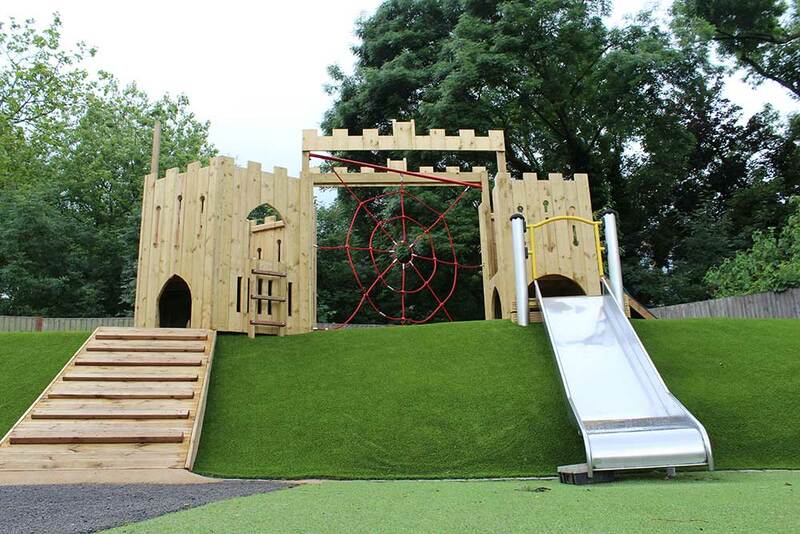 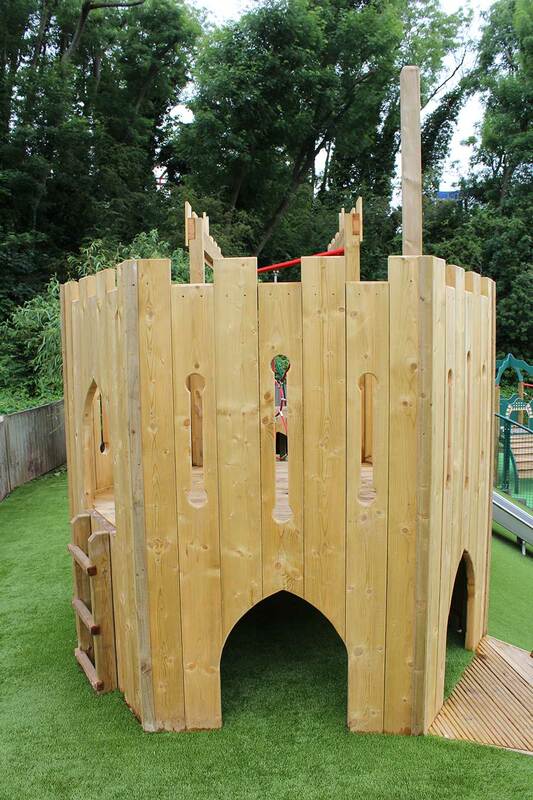 They loved our castle design, which integrated their existing slide down the bank, to maximise play value. 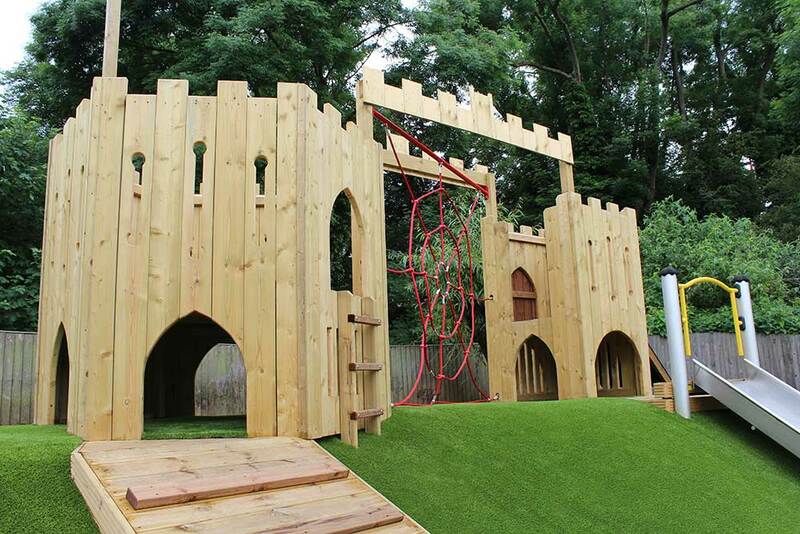 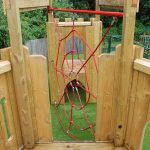 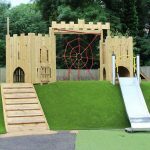 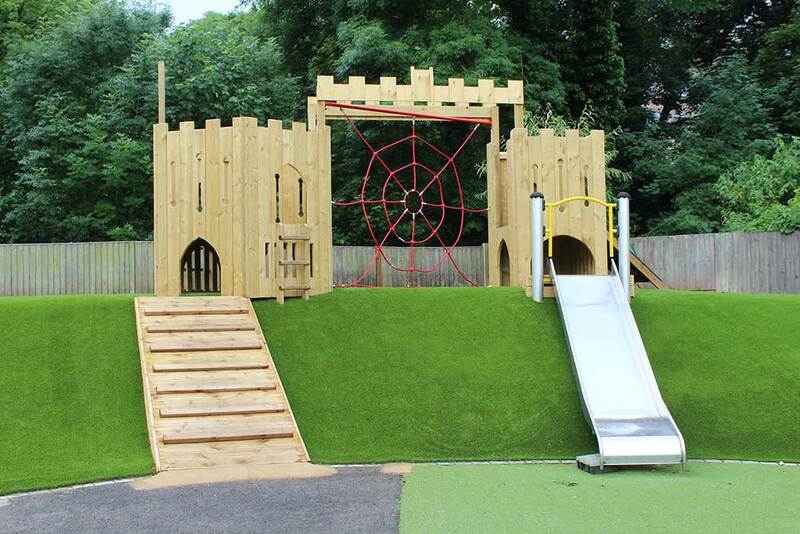 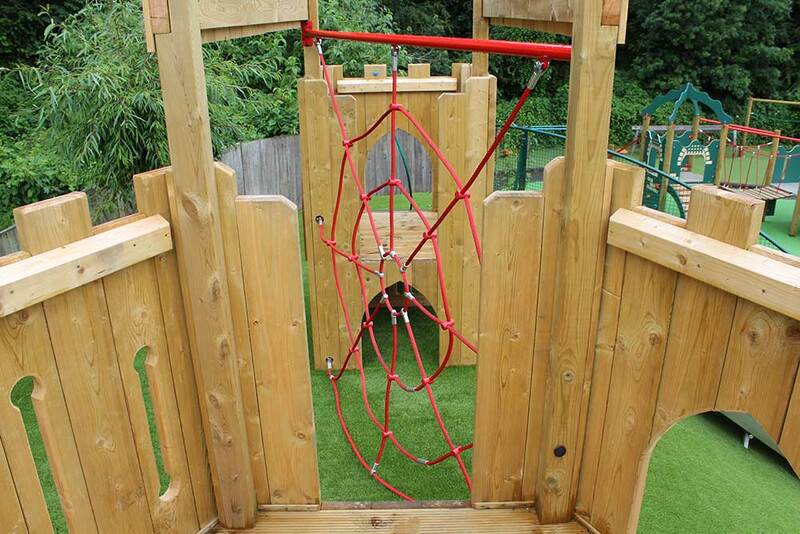 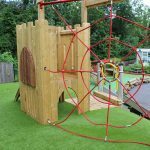 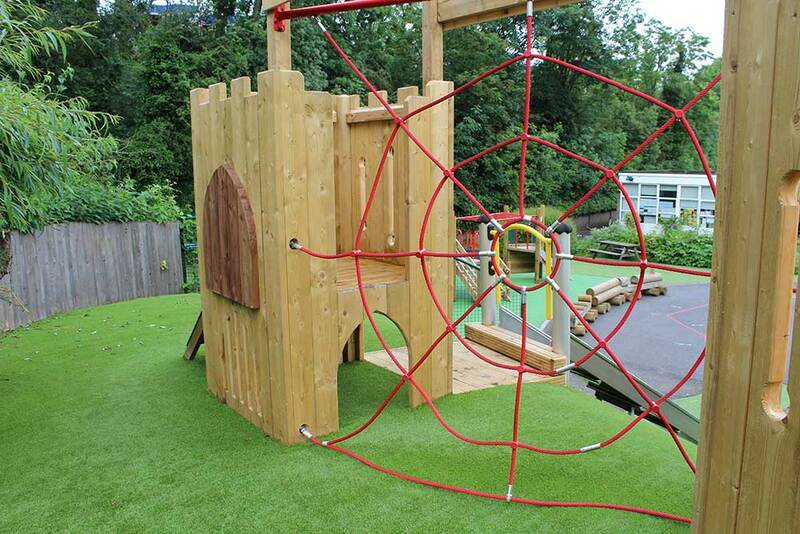 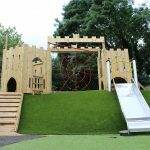 Muswell Hill Castle features two castle-themed towers, each with climbing activities such as ramps, ladders, and nets, and in it’s centre features a huge spiders net to traverse from side to side. 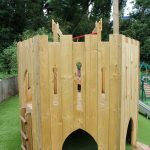 The castle aesthetic runs strongly throughout the scheme, as we cut loopholes and battlements from the bits of timber we used, to further the imagination play aspect, and there was also a castle themed Klink at the bottom of the hill, which created a ‘Motte and Bailey’ scheme.